Born in the Navy SEALs, Suspension Training bodyweight exercise develops strength, balance, flexibility and core stability simultaneously. It requires the use of the TRX Suspension Trainer, a training tool that leverages gravity and the user’s body weight to complete 100s of exercises. You're in control of how much you want to challenge yourself on each exercise - because you can simply adjust your body position to add or decrease resistance. 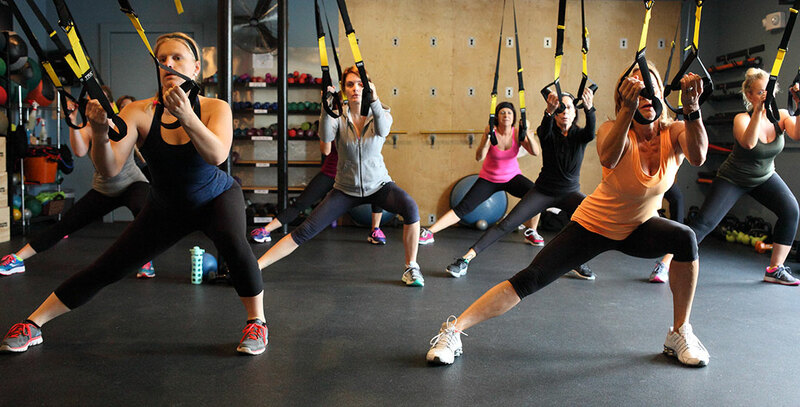 The TRX can play a pivotal role for newer clients lacking strength. New clients learn how much fun training can be with the right exercises performed at an appropriate level of difficulty and even better clients see results fast!